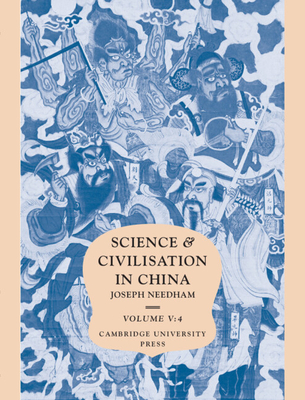 Cambridge University Press, 9780521085731, 804pp. The fifth volume of Dr Needham's immense undertaking, like the fourth, is subdivided into parts for ease of assimilation and presentation, each part bound and published separately. The volume as a whole covers the subjects of alchemy, early chemistry, and chemical technology (which includes military invention, especially gunpowder and rockets; paper and printing; textiles; mining and metallurgy; the salt industry; and ceramics).